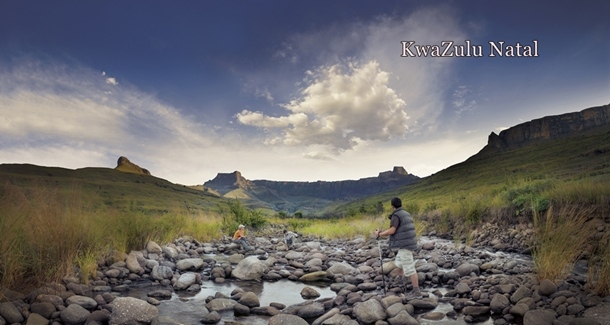 The Drakensberg Mountains are found in the province of KwaZulu-Natal in South Africa. This stunningly picturesque region is a 200-kilometre-long mountainous UNESCO world heritage site. The Zulu people named it ‘Ukhahlamba’, the Barrier of Spears, and the Dutch pioneers called it the Dragon Mountain’, hence the name Drakensberg, and both names are very appropriate for the awe inspiring craggy peaks and beautiful mountain landscapes. This area has been home to mankind for a very, very long time with thousands of rock and cave paintings by the early San people (also known as Bushmen). In fact the history of the area is so important that it became a UNESCO World Heritage Site in December 2000 in order to protect and preserve its cultural and natural heritage. The scenery is truly epic in the Drakensberg Mountains and it is a popular destination with tourists to South Africa. 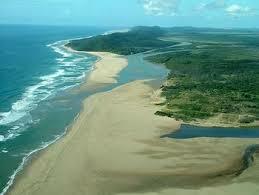 It is an area that combines well with a safari in the Kruger and makes for a great self-drive itinerary. Combining sheer natural beauty with a wealth of biological diversity, this enormous 243,000 hectare mountainous region provides a great contrast to other parts of South Africa and offers a unique atmosphere for the visitor. The mountains tower above the surrounding African bush, with slopes lined with lush forests, deep valleys, stark cliffs and cascading waterfalls. The line of mountains creates a massive barrier which separates KwaZulu-Natal from the neighbouring Kingdom of Lesotho. The only road access to the Drakensberg is via the Sani Pass, which at the top, boasts the highest pub in Africa, where you can enjoy a drink at 3,000 metres above sea level! 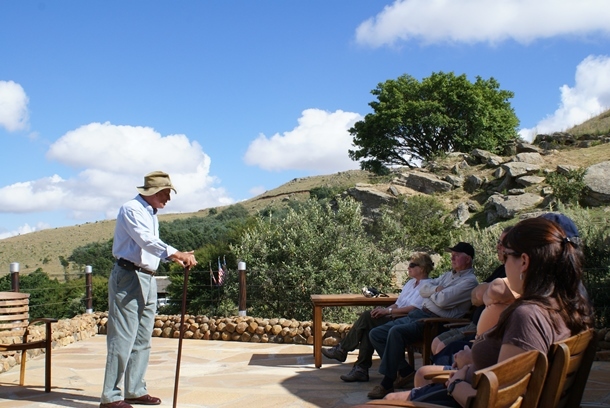 There are lots of activities to choose from whilst staying and visiting the Drakensberg Mountains. The bravest can tackle sheer rock or ice- climbing or even the adrenaline rush provided by abseiling, white water rafting or taking a helicopter ride to view the Drakensberg mountains from above. Others might prefer hiking through the stunning scenery with plenty of trails and routes to choose from. There are gentle strolls exploring the lower slopes or you can explore further on a two day camping hikes up in the higher peaks for the hardier souls. The flora and fauna of the region are not to be missed with 290 species of birds, 48 species of mammals, and many rare varieties of plant life found in this national park. The scenic highlights that should not be missed off any itinerary include Cathedral Peak, the Giant’s Castle, Champagne Castle or Peak (3248m), the Amphitheatre, and Tugela Falls which cascades down 5 separate drops to form the second highest waterfall in the world. The area was also home to the Boer War between the Dutch Voertrekkers and the British and the wars between the native Zulus and the European Settlers. Many of the battle sites can be visited today. The area is divided up into four valleys, beginning with the Champagne Valley in the Central Berg, through the Cathedral Peak and Didima Valley, then the Royal Natal National Park and Amphitheatre Valley, and finally the Middledale Pass Valley in the Northern Berg. Each of the four valleys has its own kind of beauty and character; all have magnificent mountain views. 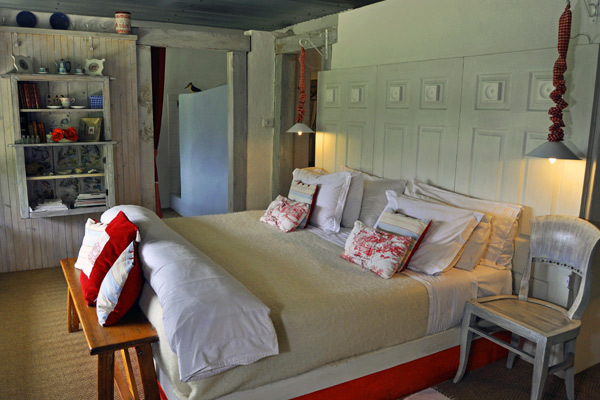 Accommodation can be found across the region ranging from luxury mountain resorts to small, cosy family run hotels and lodges.